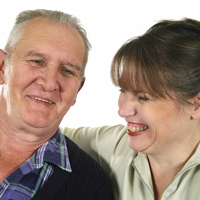 Don’t Sweat the Small Stuff With Caregiving! How important it is to learn the “simple stuff” at the beginning. Like, it doesn’t matter what clothes Mom (86) sleeps in—in fact, it doesn’t matter if she doesn’t wear clothes as long as she’s happy when she goes to bed. What you want is a peaceful evening and a good night’s sleep for both of you. There is no greater joy than seeing my Alzheimer’s Dad (82) dance and sing and laugh the way he did before this terrible disease. When he started to lose his memory and say or do inappropriate things, his healthy friends dropped him as if he had the plague. He was alone. Now he’s in daycare and the wonderful man he is has come back to life. He just needed a place that accepted him for who he is today.